Crown lifting is the process where the lower branches may be partially removed or completely removed, usually the lower outer sections of the crown to provide the tree with an even branch structure. The trees that need this are mostly of the broad-leaf variety e.g. Oak or Beech Trees. 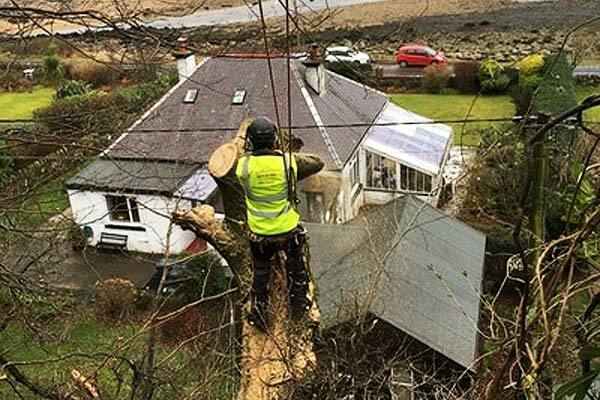 Large branches near the ground that extend directly from the trunk of the tree should not be removed, this could affect the overall health of the tree itself and crown lifting should be restricted or even avoided completely with older, mature trees. There can be many reasons to lift the crown, but especially important is that it does give more light to areas below the crown. 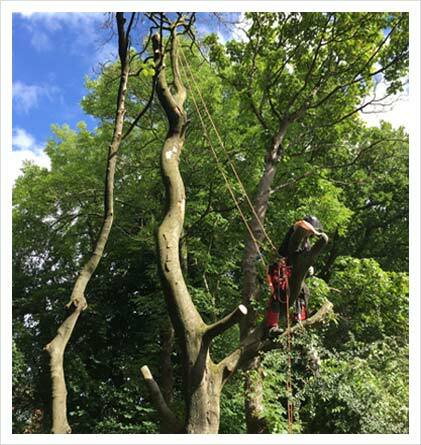 Overall it does help light get through to the area below the tree and is less harmful than crown reduction when it comes to pruning the tree. The best practice is when lifting the crown it is down slowly and carefully over some years. 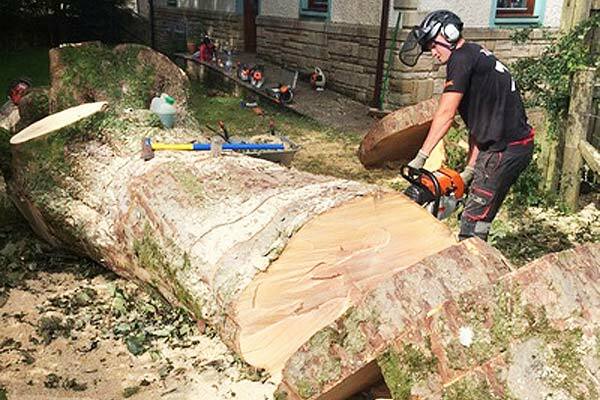 With trees that have a large diameter trunk, the crown lifting process of the tree would not be recommended as it could cause decay on the trunk itself. So we would suggest thinning the branches lower down to decrease the overall length of the branches involved, thus slowly the growth rate. "Great. Very quick response, informative site visit and the guys doing the work on the day were excellent. Opened up the garden and my neighbour even wanted more done. They also left the garden far cleaner than it was before, branches gone with no clean up. I have already recommended them to friends." "First class service - recommended by a friend. I recently moved to a new property and had no idea what to do with a vastly overgrown beach tree. Stevie's advice was spot on and the job was completed swiftly, with minimum disturbance and no mess. Would highly recommend." 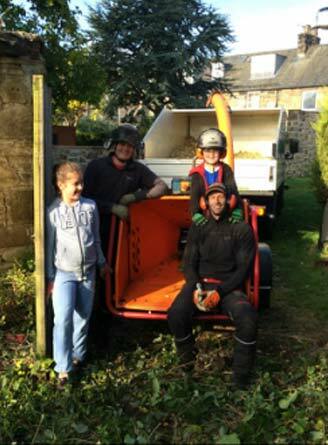 For when you need your tree`s crown lifted then you can rely on our team of Tree Surgeons!